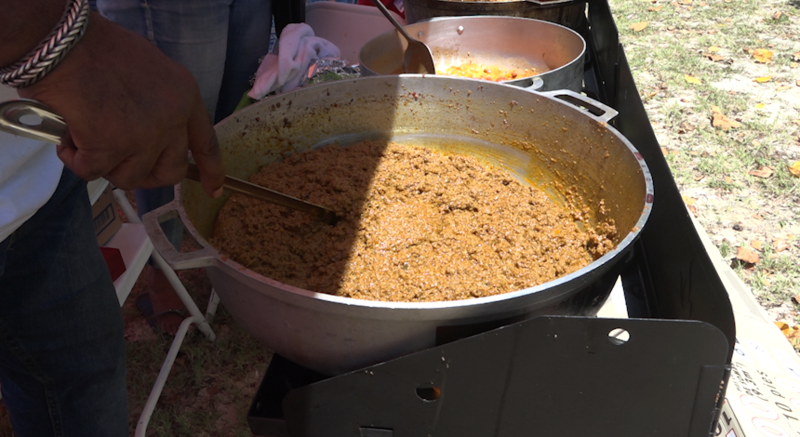 ST. THOMAS (CBS USVI) — On your marks, get set, and make some chili! It’s the yearly tradition that brings the chili and the coast together in a timed competition to see who has the best flavor on Island. “Some so good that you can’t even share it,” Lisamarie Margras-Lucia a judge at the event said. This is Lisamarie Margras Lucia’s eleventh year judging the Chili Cook Off, which means she samples each chili then rates it. A lot more goes into the event than you may think from months of planning and organzing to day of set up. The judges take the role very seriously. Ronette Phelps is the head judge and helps explain the rules to the groups and train others to keep the 34 year tradition going. The secret she said is, well, in the sauce. “I think it’s the committee, those people that have been doing it and they just don’t want it to die, you know, and I really thought that after the storms last year that it might but Erik was like nope we’re having it two storms aren’t going to keep us away. So it’s a little bit smaller this year but that’s ok just like the Island it will rebuild,” Phelps said. Chili tents and supporting members of the community set up shop on this St. Thomas beach for the day so everyone can try some of the 30 or so chili dishes. Some for the first time. “Before I tried chili but I wasn’t a big fan of it, but trying all different flavors for me is is like now I can tell I love chili,” Leila Bekmuratobia a tourist visiting for the day said. With election year in full swing many tents also served as ads for those running and the current Governor and Lt. Governor stopped by to try some chili too. “It’s been awesome it’s been great and I think everyone here is having a really good time and I just want to congratulate all of the organizers of the chili cook off for a nice day right here in paradise,” Lt. Gov. Osbert Potter. With the 34thannual in the books, organziers and chefs look ahead to what next years big 35thwill bring.